Food Friday – Life lessons from soup made of pig innards. 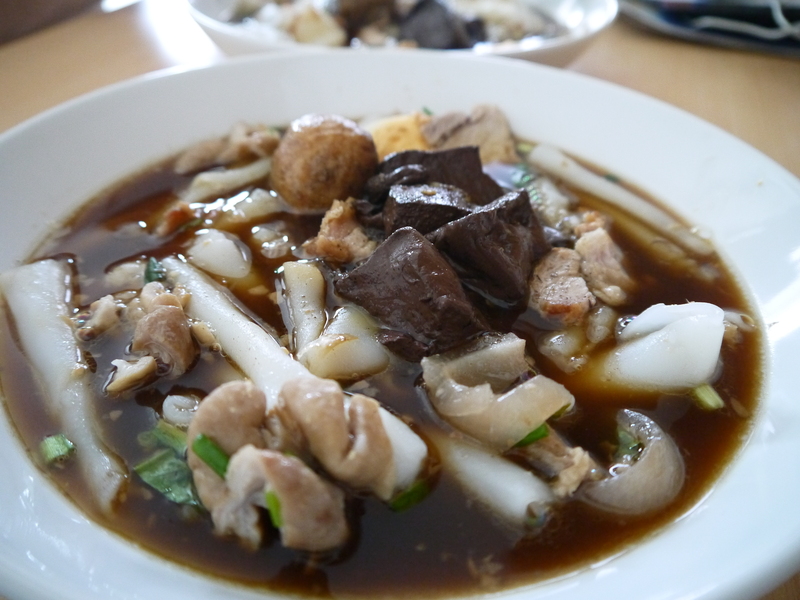 Kuay jab nam khon is a delicious soup with a not so good description in english, it was a toss up between pig bits soup, pig innards soup, or pig offal soup. Maybe using the Thai will be easier. The first time I had it was in the small sleepy town of Nakhon Pathom (about an hour from Bangkok). Our visit to Nakhon Pathom was our first weekend away from Bangkok, we chose the town as it was just over an hour away and it had a couple of tourist attractions. 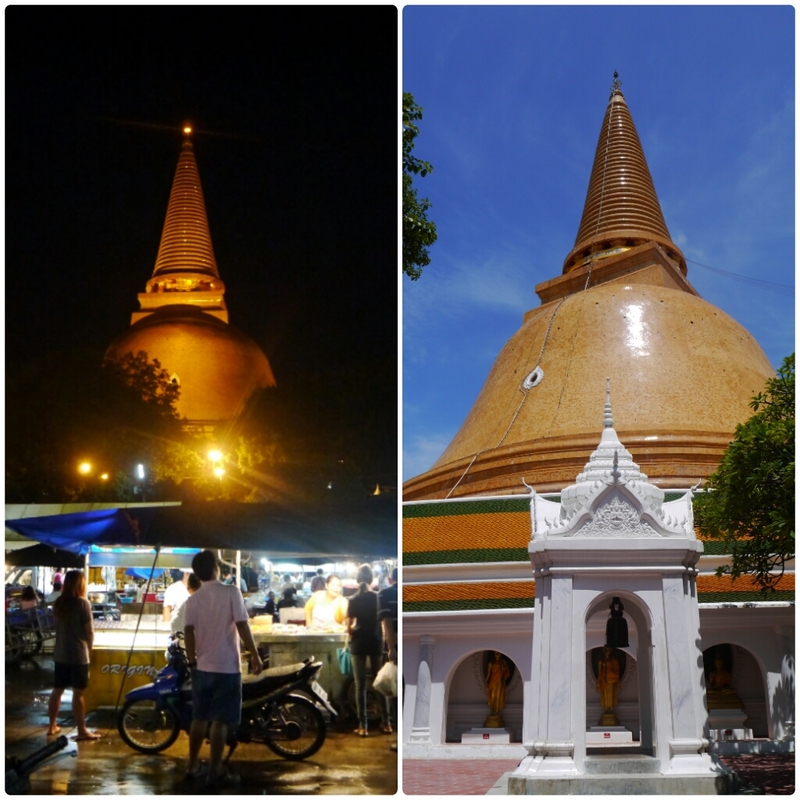 Our main reason for going was to see the largest Chedi in the world. It was pretty large and it was quite beautiful both at night and during the day, it’s Nakhon Pathom’s pride and joy. I would have to say that the Kuay Jab Nam Khon should be up there as a pride and joy of Nakhon Pathom Nakhon Pathom along with some really yummy fried bananas. Nic had had this soup once before but as Nic enjoys livers cooked in a variety of ways and I don’t, I couldn’t quite trust him that it would be good. You might then be wondering how I came to eat this soup in Nakhon Pathom. The simple answer is that the owner of the food stall was so friendly, he talked to us and seemed so eager for us to try the soup that I didn’t feel able to say no. 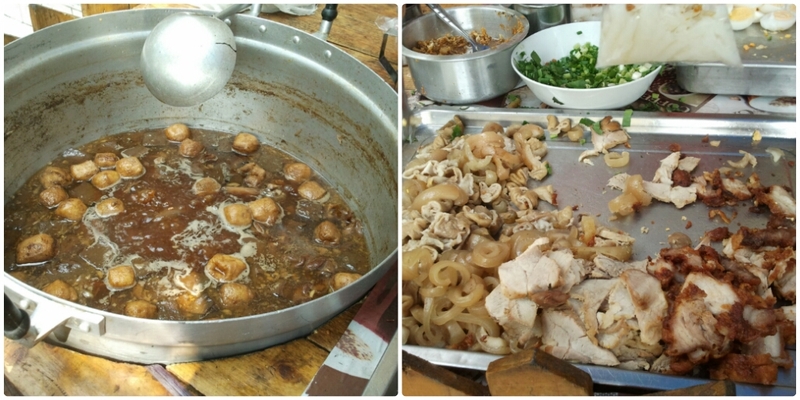 What I learnt that day was a soup that looks as though it’s filled with pig skin, fat, internal organs and a few arteries is absolutely delicious. It tasted nothing like I imagined, most of the ingredients melted in your mouth, the crackling was crunchy and the broth was smooth and refreshing. And not to forget the one thing I’d be looking forward to the most, the rolled up rice noodles – so easy to eat and good too. It’s a good life lesson as well, that sometimes choosing not to hurt someones feelings can lead to a surprising good results and incredible soup.